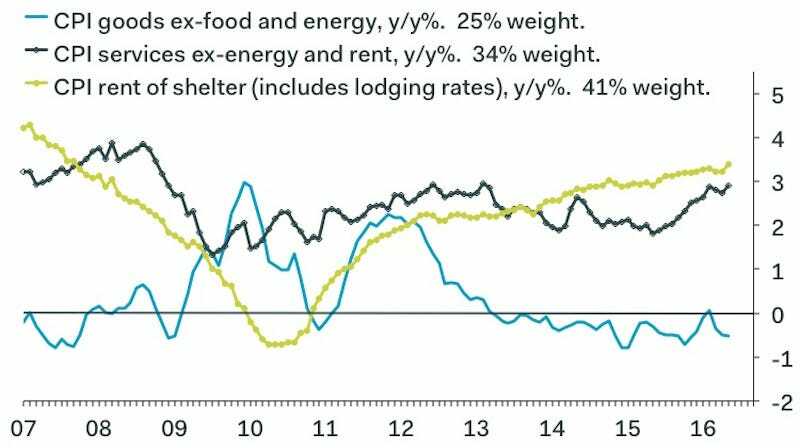 Shelter costs are still the key driver of inflation. On Thursday, the latest consumer price index (CPI) report, which includes subindexes for inflation in different parts of the economy, showed that the shelter index rose 0.4% in May, its biggest gain since February 2007. The Bureau of Labour Statistics noted that jump was the main reason why core CPI, which calculates everything except volatile food and energy costs, rose during the month. 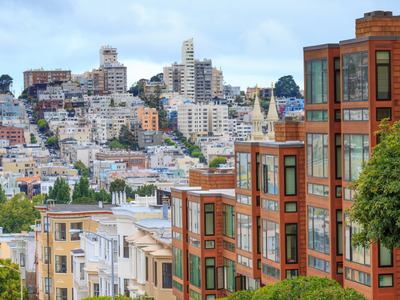 Bank of America Merrill Lynch economists recently wrote on how owners’ equivalent rent, which measures the value of shelter for homeowners by comparing to rental prices for similar homes, is not likely to slow soon. Owners’ equivalent rent is the largest sub-component of the rent of shelter index, which makes up 32% of the overall consumer price basket. Because the vacancy rate is falling while demand is rising, rents may continue going up as well. This is the same supply/demand imbalance that’s plaguing the housing market and driving home prices higher. And this chart via Pantheon Macroeconomics’ Ian Shepherdson illustrates how shelter — the yellow line — have outpaced everything else since mid-2012.